Spend the morning or afternoon on a historical journey through Toulouse’s past. Explore the city’s landmarks, architecture, and monuments on a two-and-a-half-hour walking tour with a historian guide. 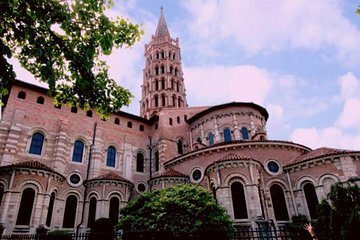 Visit the Romanesque style Basilica of Saint-Sernin, a UNESCO World Heritage site, see the Capitole of Toulouse, with its impressive marble façade, and stop at many other sites to learn about the city's fascinating history and significance in France.